Dr. Dharmendra Mishra is Processing Authority for acid / acidified and low-acid foods in both still and continuous flow systems. His expertise includes manufacturing multi-phase particulate modeling and validation, commercializing technologies, retort, aseptic, and novel thermal processing; mathematical modeling; inverse problems and statistical analysis. 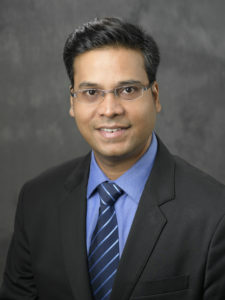 Prior to joining the faculty at Purdue, Dr. Mishra worked in the food industry for Campbell's Soup, Nestle Nutrition, and Mead Johnson Nutrition. Rhonda Taylor obtained her Bachelor in Science from the Purdue University School of Agriculture in 2004, focusing on wildlife, ecology and land management. Additionally she obtained an Associate Degree of Applied Science in Biotechnology in 2012. Ms. Taylor has several years' experience working for a Fortune 500 company performing corn and soybean transformation as well as other microbiological techniques. She joined the Purdue Department of Food Science in 2013 as a Research Assistant and Food Safety Laboratory Manager. Ms. Taylor worked mainly with foodborne pathogens related to beef and poultry. 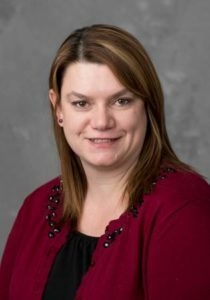 In 2017, she became the Food Science Outreach Extension Specialist and Food Processing Laboratory Manager. Her current job duties are to assist Food Science Extension programs by managing SafeProduceIN and Purdue's ServSafe website. She is an instructor for the Produce Safety Alliance and the ServSafe program as well. Ms. Taylor serves as the safety chairperson for the department and point of contact/program coordinator for the fresh produce industry, ServSafe program, home-based vendors, food processing validation studies and food processing workshops like Aseptic Processing and Packing, Better Process Control School and Validation: Aseptic Processing and Filling . Connie earned her B.S. in Food Science from Purdue in 2013 and her M.S. in Food Science from the University of Idaho in 2015. 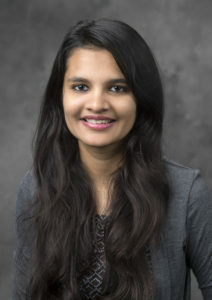 She joined Dr. Mishra’s group in August 2017 to pursue her second master’s in food processing, after working in the food industry for 2 years in R&D. Currently, she is continuing her Ph.D with Dr. Mishra, developing an innovative technology for shelf life prediction of food and beverages. Manoj earned his Bachelor’s degree in Microbiology from Pune University and Master’s degree in Biotechnology from Bangalore University (BU). He served as a petroleum microbiologist for ONGC- TERI Biotech ltd India. He served as a lab manager who was responsible for overall operation for tertiary oil recovery in Gujarat region. James possesses two years of food industry experience obtained between studying at North Carolina State University and Purdue, working in food science technical services and R&D capacities. He is currently researching in the area of thermal processing while working in food processing extension. Halak is a Lynn Fellowship recipient. She graduated with a B.S. in Chemical Engineering in 2017 from B.M.S College of Engineering, India. 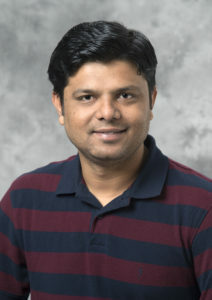 Halak joined the Mishra lab in 2017 for Masters. 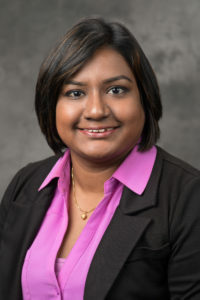 Currently, her research focuses on improved methods for measurement of food thermal properties, specfically at aseptic processing temperatures. 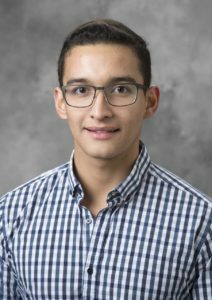 Fernando received his Bachelor’s degree in Food Science from Zamorano University, Honduras in 2017. He worked as an intern in Mishra Lab during the spring semester 2017, where he helped set up the lab. His Master's research focuses on designing an in-line method to measure food thermal properties during aseptic processing. If you have trouble accessing this page because of a disability, please contact Process Modelling and Validation at kyleebrock@purdue.edu.